La Grande Mamma, located in the Main Square, at the corner of St. Anna and Wiślna streets, is now open. In a 17th century building with beautiful vaults and antique portals, we have created a place where one can taste the authentic Italian cuisine in beautiful interiors and friendly atmosphere. It is here, in our open kitchen, that sweet treats and thin crust pizza are being baked in plain view of our guests. We want dishes served at La Grande Mamma to be a delight for all senses, therefore we care not only for their authentic Italian flavour, but also for the way of serving them, for an appropriate choice of wines for every dish, and that our menu be diverse in terms of flavours and preferences of the guests. Our Head Chef, Robert Koczwara, guarantees the highest quality of food and creates the menu, just like he has been doing since the beginnings of Mamma Mia!, our first Italian restaurant. Our managers, with whom we have worked for years, care especially for the well-being of our honourable guests. 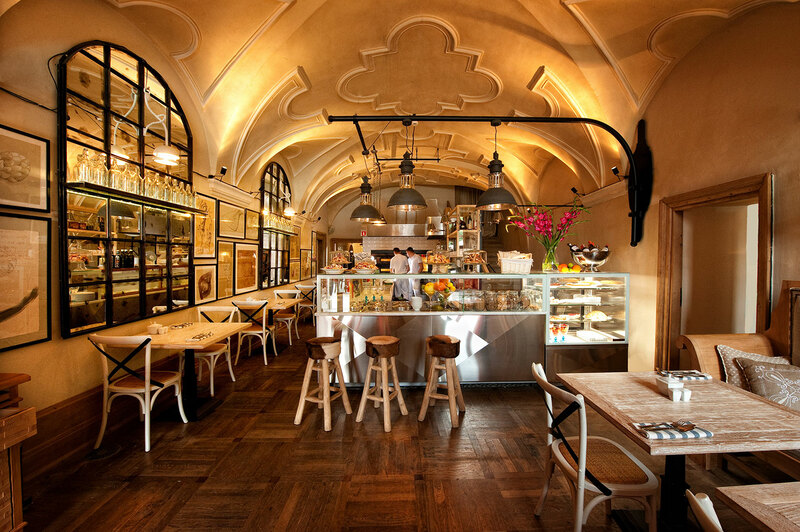 La Grande Mamma is a special place in many ways: it has wonderful sights on the Krakow Main Square, intimate and friendly interiors, excellent service, perfect selection of wines, and, last but not least, fantastic food, which is the most important thing we work on every day.